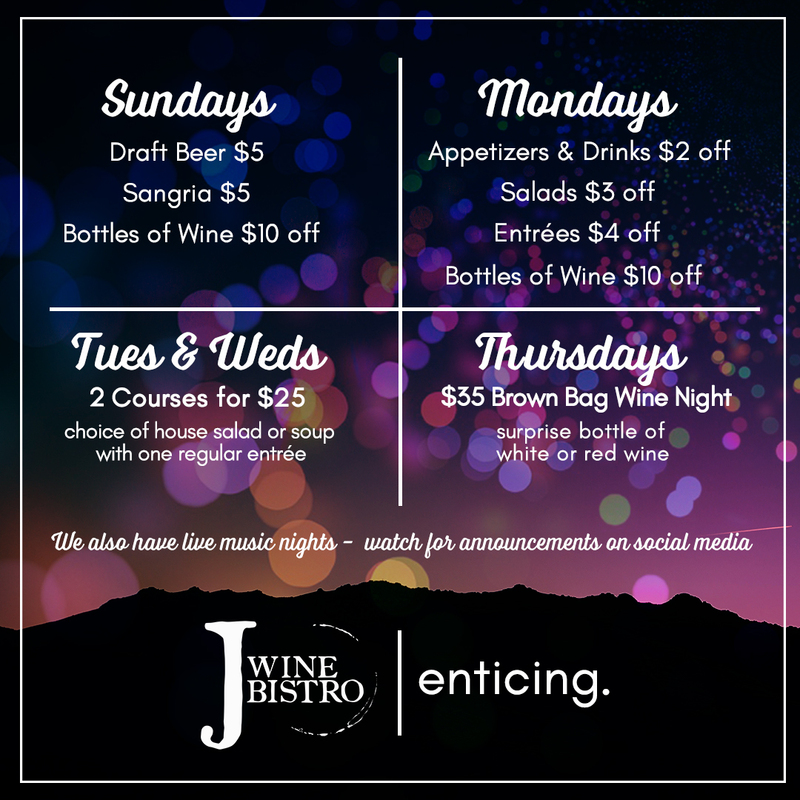 J Wine Bistro • Best food in Sedona! J Wine Bistro offers a local seasonal menu with unmatched freshness and flavor at the heart of every dish. Add the exceptional service and a romantic atmosphere as inviting as our food and you have a neighborhood favorite. J Wine Bistro is sure to be a top destination and local favorite. Ask your server about our nightly specials! John Ramagli began his career as a waiter at age 16 serving a four-course dinner at a retirement community. It is there where he learned the importance of customer service and individual dietary needs. John has entrenched himself in the culinary arts with a focus on Italian wine and authentic Italian cuisine ever since. In the last ten years John has held leadership positions for five-star and top-100 national restaurants. J Wine Bistro is a significant milestone in his decorated career. Nikki Ramagli was born and raised in beautiful Sedona, AZ. After high school, she decided to make the transition to the "big city" where she attended Arizona State University. Nikki graduated from ASU in 2008 with a bachelor's degree in communications from the Hugh Downs School of Human Communication. Nikki specializes in a number of marketing disciplines including advertising, branding and business development. A local seasonal menu with unmatched freshness and flavor.